This pic looks too red. The colors are rose, mauve, etc. A few years ago I purchased a small kit from Quilts, Etc. 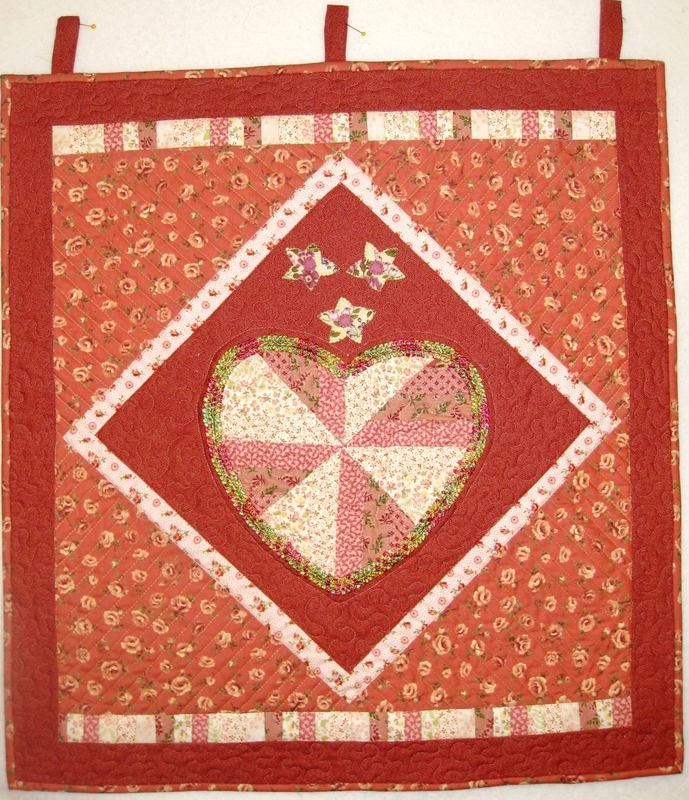 in Sandy, Utah, for a scrappy heart wall hanging called Old Love. Last week, during our retreat, I pieced the heart. I just finished the wall hanging, which looks nothing like the kit, as I got creative as I worked on the project. 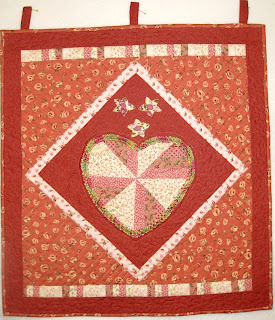 For starters, the original pattern had scallops appliqued around the heart. Those were replaced by a few rows of this awesome ribbon I found at Hobby Lobby. The heart looked better on point, so I added the triangles around it. Then, I added the bottom and top piano key border (I could not discard all those left over 1" strips!). Finally, the borders, the quilting, the binding with hanging tabs. 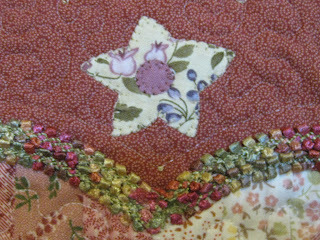 But it was still missing something... so I appliqued the flowers which were left from a project I worked on a while ago. There! What do you think? You can see the colors better here. Love that ribbon!